Brand storytelling is everywhere, and it isn’t going anywhere. In an era when people are tired of being talked at and sold to, people crave genuine connections with brands. Hence, we’ve seen an explosion in brand content, but how much of it actually resonates? How do you make your brand story matter? Just because you put something out doesn’t mean it’s interesting. Unfortunately, many brands are trapped in the quantity over quality mindset, forsaking compelling storytelling for product-centric content that doesn’t really move the needle. In fact, according to Skyword’s 2018 Content Marketing Continuum Survey, only 17% of marketers surveyed said they use storytelling in their content. However, of the most successful content marketers (the top 2%), 83% reported that storytelling plays a significant role in their content marketing. Smart brands know that if you want to make a real impact and cultivate a genuine connection with someone, sharing your brand story is the smartest way to do it. And not only does story improve your relationship, it can improve your bottom line. A study by Origin and Hill Holiday found that people spent more on everything from hotel rooms to paintings when products or promos were paired with a story. And a 2014 study by Neuroreconomist Paul Zak found that a character-driven story caused people to donate 56% more money to charity. No matter the medium, no matter the platform, storytelling helps you capture attention, pique interest, and entice people to build a relationship with you—but it only works if it’s done well. This is the real challenge that plagues many brands. The intention is there, but the execution needs a little help. Over the last decade, we’ve encountered some of the biggest stumbling blocks in brand storytelling and made plenty of our own mistakes. Luckily, those experiences have helped us hone in on what actually works. We want everyone to create better content, so we’re sharing our best tips to help tell a brand story that is impactful. 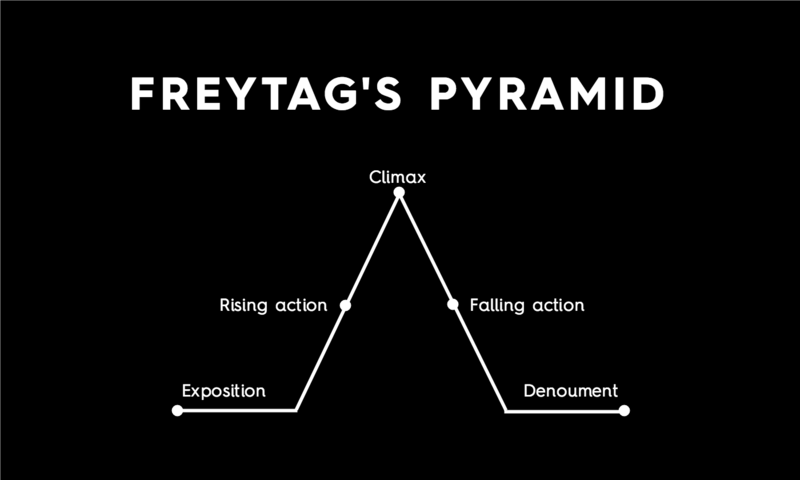 But first, let’s dive into what makes a story interesting, and why it’s so damn effective. Why is storytelling so powerful? Because it triggers a biological response. A brand story grabs our attention, activates of our brains, and stirs our emotions—and that goes for storytelling across all mediums. When you’re invested in a good story, your brain physically responds to it. A good story can trigger your brain to release cortisol (the stress chemical) or oxytocin (the feel-good chemical). This explains why you feel anxious while watching a horror film or happy when the lovers finally get together at the end of a book. And different mediums and storytelling tools affect us in different ways. For example, video triggers emotional contagion, a phenomenon where our emotions mirror what we see on screen (again, think of the horror film response). Similarly, when we hear someone speaking, such as a narrator in an animated video, it triggers neural coupling, an experience where our brain activity mirrors what a speaker is saying. But it isn’t just about seeing images or hearing a human voice; it’s the story that matters. Make your brand the hero (e.g., a security software that protects a small business from identity theft). Make your brand the helpful sidekick in a customer’s story (e.g., “This brand’s comfy shoes helped me cross the finish line.”). Tell stories about your brand’s people, values, origin, and more. There are plenty of opportunities for storytelling, but if you want to be effective, you need to tell a strong story. What does that look like? A 2014 Johns Hopkins study examined popular Super Bowl ads and found that the most popular ads weren’t those that were the silliest, most outrageous, or most hilarious. It was the ones that followed a familiar dramatic arc. That said, not every story will capture people’s attention. If you want your brand story to be impactful, it really comes down to five essential elements. (For us, it’s the closest thing we’ve found to a secret formula.) When you’re brainstorming ideas, vet them through this rubric and you’ll definitely create better, stronger stories. Everyone is dealing with content shock. There are a million brands vying for attention, hopping on whatever hip bandwagon their competitors are on. That’s why brands are all suddenly churning out infographics or interactives—and disappointed when they don’t “hit” the way they’d hoped. Why? Because many brands are too focused on what they want to create and not what people actually care about. What value will this provide to my audience? What should my audience take away from this? You can tell all sorts of stories. They can be entertaining, educational, or inspirational. But if you want them to be impactful, they have to be interesting and relevant to the people you’re trying to reach. This is important not just to pique interest but to draw them into the story. How does your brand improve their life? Why should they take the time to invest in this story? Remember: If there is no place for someone in your story, there’s no reason for them to pay attention to it. A strong brand story is all about stimulating emotion and empathy. It’s not just about what you do but how you affect people. Sure, your software may automate emails, but it’s ultimately making people’s lives easier and stress-free. That’s the emotional hook of the story—and you should always lead with it. If you can trigger that emotion in the first paragraph of a blog or the first few seconds of a video, you will have them hooked. Leading with challenges or problems is a smart way to do this, because conflict creates a bit of stress or intrigue. Storytelling like personal anecdotes, powerful statistics, or provocative questions can also be effective, as is ending with a satisfying resolution (which releases that feel-good oxytocin). One of the most common mistakes in brand storytelling is trying to say too much. It’s far better to tell a very simple story and maximize emotional attachment than bombard people with different stories. You could tell a story about large-scale problems facing the healthcare industry, but showing how these issues affect a real patient gives the story a singular focus and makes it easier to connect to. In short, focus on one person or one problem at a time so you don’t confuse or distract your reader. When you share your brand story, people should know it’s your story. That means being open, honest, and transparent. It means letting your personality shine through. It also means being consistent. When you’re creating a ton of content, it’s important to cultivate consistency so that people can not only identify but trust your content. But if your team is slammed or you don’t know where to start, let’s talk about it.